Episode 10×01 “To Live and Die in Mexico” — Gravely injured and unable to communicate with the team in the U.S., Callen, Sam and Kensi, with an unconscious Deeks in tow, search for a safe way home as a cartel boss places a “dead or alive” bounty on their heads. Also, Mosely and retired Navy Admiral Hollace Kilbride (Gerald McRaney) beseech their contacts in Mexico and D.C. for assistance with their missing colleagues. Cast: Chris O’Donnell (Special Agent G. Callen), LL COOL J (Special Agent Sam Hanna), Linda Hunt (Henrietta “Hetty” Lange), Daniela Ruah (Special Agent Kensi Blye), Eric Christian Olsen (LAPD Detective Marty Deeks), Barrett Foa (Tech Operator Eric Beale), Renée Felice Smith (Intelligence Analyst Nell Jones), Nia Long (Executive Assistant Director Shay Mosley). Guest Cast: Gerald McRaney (Retired Navy Admiral Hollace Kilbride), Max Martini (Arlo Turk), Lamont Thompson (Spencer Williams), Greg Serano (FBI Special Agent Diego Gonzalez), Serafin Falcon (Francisco), Torri Higginson (CIA Deputy Director for Operations Alison Baker), Ariel Llinas (General Arturo Vásquez), Gustavo Quiroz (Samuel), Jalyn Hall (Derrick), Orel De La Mota (Michael Vásquez), Bernardo Cubria (Doctor), Sean Burgos (Orderly/Juan Hernandez), Delarosa Rivera (Williams’ Last Man). Air Date: Sunday, Sept. 30 (9:30-10:30 PM, ET/PT) on the CBS Television Network. "To Live And Die In Mexico" -- Pictured: Daniela Ruah (Special Agent Kensi Blye). 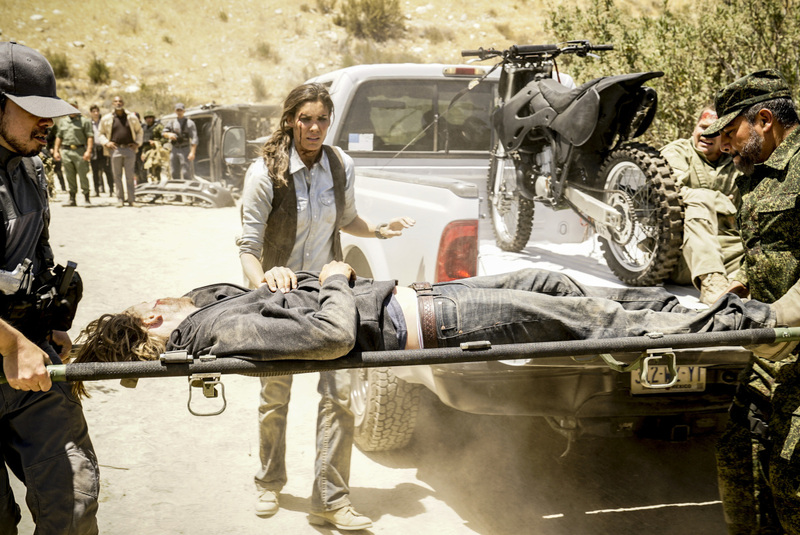 Gravely injured and unable to communicate to the team in Los Angeles, Callen, Sam and Kensi, with an unconscious Deeks in tow, search for help and a way home during their off-the-books mission in Mexico, on the tenth series premiere of NCIS: LOS ANGELES, Sunday, Sept. 30 (9:30-10:30, ET/PT), on the CBS Television Network. Photo: Cliff Lipson/CBS ÃÂ©2018 CBS Broadcasting, Inc. All Rights Reserved.